A Caregiver in Michigan was recently raided for possessing 5.6 pounds of undried cannabis. Alenna Rocafort argued in front of a judge that the medical cannabis she was preparing for five patients and herself was not yet usable, and therefore the raid should have never happened. 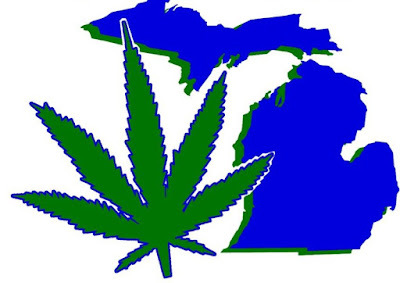 The law in Michigan says "usable marijuana" is "dried leaves and flowers" of the plant. The Appeals Panel said they couldn't grant Alenna's motion to dismiss because the 5.6 pounds was way more than she was allowed to have as a caregiver if the marijuana was usable. One of the judges involved (Judge Cynthia Stevens) agreed with Alenna's motion but that was not enough. "I would conclude that the marijuana that was in the 'drying process' or that which was 'pretty dry' or 'dry enough' or 'largely dried' did not constitute usable marihuana within the meaning of the statute and was therefore, insufficient evidence upon which to convict defendant," Stephens wrote in her dissent. "Notably, usable marihuana does not include 'all parts of the plant ... growing or not' or 'every ... preparation of the plant or its seeds or resin,'" she wrote. "The evidence did not establish that the 5.6 pounds of harvested marihuana seized from defendant's home in canisters was 'the dried leaves and flowers of the marihuana plant' but only that the marihuana was in the process of drying. ... I acknowledge the difficulty in determining 'dried marihuana' when even so-called completely dried marihuana contains 10 percent moisture but I would also call up on the Legislature for clarification." "The trial court concluded that, although the seized marijuana may not have been dried to the ideal extent, it was 'largely dried,' and therefore denied defendant's motions,"
The punishment was 2 years of probation.